Since 1939, Medical Eye Associates’ expert cataract surgeons have helped thousands of patients achieve amazing improvements in their vision due to Cataract surgery. 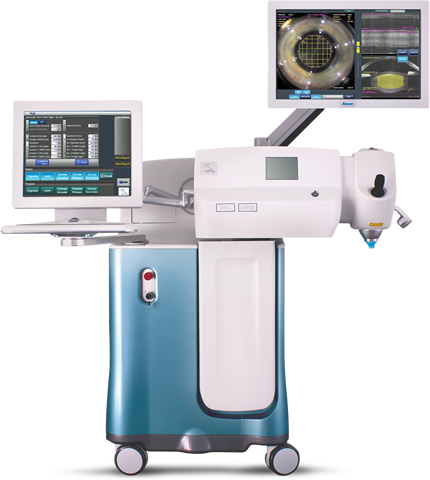 It is one of the most commonly performed eye surgeries in the United States, and with the latest technology and techniques, we perform safer and less invasive surgery with remarkable visual results. A cataract is a clouding of the natural lens of the eye. As the cataract develops the lens can become so clouded it prevents an individual from seeing a clear image. As a result, our patients commonly complain of glare and halos around light which affect their ability to drive, read, or see vibrant colors. Currently there are no medications or treatments to slow or reverse the development of cataracts. Once the cataract forms, the only way to treat a cataract is with surgery that removes the old, clouded lens and replaces it with a new, artificial lens. You should consider cataract surgery when your cataracts have progressed enough to impair your vision and affect your daily activities. Cataract surgery is a simple, painless procedure, performed as an outpatient procedure with mild anesthesia. The cataract is removed using ultrasound called phacoemulsification through an incision less than 2.7 mm. Once your surgeon removes the cataract, an intraocular lens (IOL) is inserted into the eye. The new lens implant can be customized for your eye and your vision based on the latest technology and measurements taken in our office prior to your surgery. Today, you have many options for lens implants to reduce your dependence on glasses after cataract surgery. For people who do not mind wearing glasses or for those with other eye health issues, a conventional lens, known as a monofocal lens, is the best option. Patients with astigmatism, a distortion of the vision due to the curvature of the cornea, a toric lens is an excellent choice. Others who want to reduce their need for reading glasses after surgery may elect to have a multifocal lens or an accommodating lens implant. Your doctor will help you determine which lens is best suited for you eye and your needs, based on your individual lifestyle, eye health, and goals for your vision. Call us today to schedule an appointment with one of the cataract surgeons at Medical Eye Associates to learn how cataract surgery can help improve your vision and lifestyle!